The Carbon Claw PRO X ILD-7 speed leather Cuban pads are not only lightweight and comfortable, but also easy to manoeuvre and have been designed to absorb impact effectively. These eye-catching pads are a great coaching tool and allow for teaching skills such as balance, speed, distance, movement and punching combinations. A blend of flexible materials and quality supple leather goat hide results in increased durability and a secure fit, whereas a gel layer guarantees added protection. The pads offer a diameter of 7” (17.8cm) and thanks to an anti-slip material in the internal part of the mitts, they ensure an improved grip. In addition, for a fresh and dry feel during intense training sessions, the pads feature an anti-microbial, moisture-wicking fabric. for submitting product information about Carbon Claw PRO X ILD-7 Speed Leather Cuban Pads We aim to answer all questions within 2-3 days. 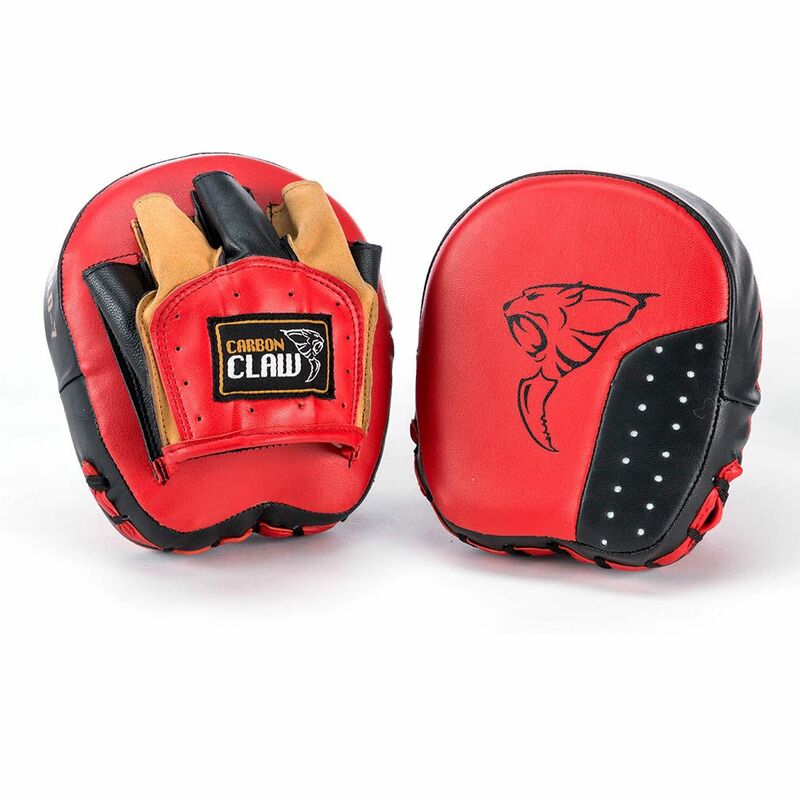 for submitting product information about Carbon Claw PRO X ILD-7 Speed Leather Cuban Pads. We aim to answer all questions within 2-3 days. If you provided your name and email address, we will email you as soon as the answer is published. for submitting product review about Carbon Claw PRO X ILD-7 Speed Leather Cuban Pads.